Osteoarthritis ("rheumatism") is a progressive, degenerative, multifactorial joint disease. It is the leading cause of discomfort in older dogs and cats. 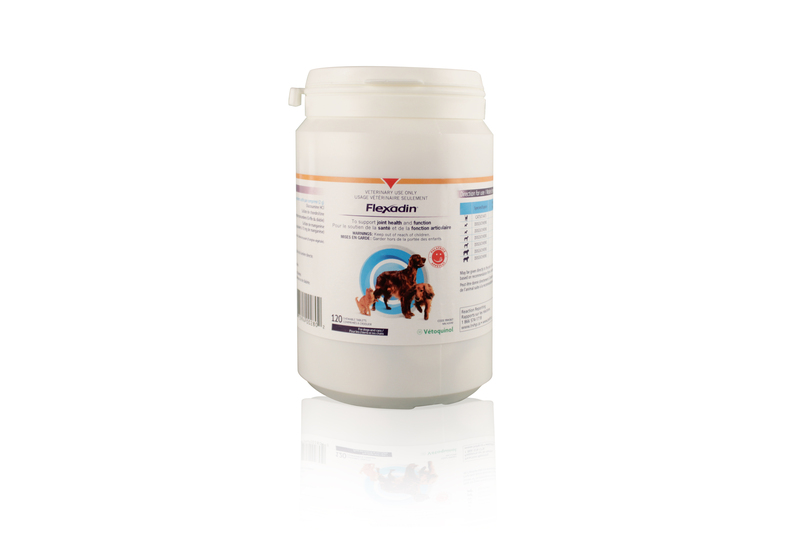 Flexadin Tablets are the first nutritional supplement that supports joint health and function in dogs and cats, combining the benefits of glucosamine, chondroitin and devil's claw (Harpagophytum procumbens), a medicinal plant traditionally used to relieve the pain of osteoarthritis. Flexadin Tablets are available in pack sizes of 30 and 120 tablets.